There are many hotels in the area, only few are l isted here, if you can't find hotel, email us rabbi@chabad.jp and we will try to find one. 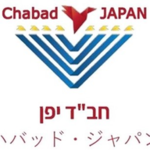 Chabad Lubabitch of Japan, Tokyo is located at 1-5-23 Takanawa Minato ku Tokyo. * Please check rates and more information about their services directly with the hotel.